Fuse Catches Up With Macklemore & Ryan Lewis At Lollapalooza | True Endeavors Presents: music, tours, tickets, mp3 downloads, concert pictures, videos, Madison WI. 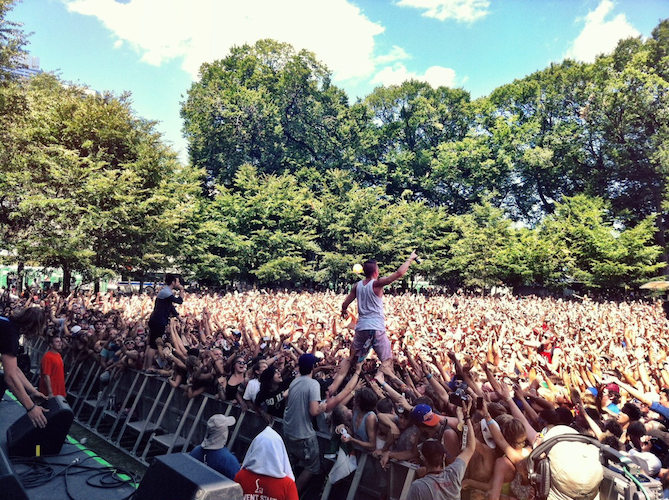 Macklemore & Ryan Lewis‘ Lollapalooza performance was one of the highlights of this year’s festival. Fuse caught up with the duo behind the scenes and shot the breeze about their creative process, and their quest for social change through music in anticipation of their upcoming album, The Heist. You do not want to miss these two when they return to Madison on November 29th for a show at the Barrymore Theatre. Get your tickets now while you still can!